Crowley, India’s supposedly one of the best DotA 2 players is planning to quit his professional team Entity Esports amidst arising differences within. Entity Esports, which came into existence only a couple of months ago has CS:GO, DotA 2 and Overwatch squads which apparently are best in their fields. Our sources close to the team revealed that the time has come for Raunak ‘Crowley’ Sen who is now sidelined from the active roster following misconduct. is planning to quit the lineup and anchor more on himself as a player rather than the team itself. Raunak, who’s performance was not at his best in ASUS Rog Masters in Malaysia now plans to tweak his gameplay staying away from the team. Although the decision to set Sen aside from the team isn’t a reflection of his performance, rather the decision has been taken due to misconduct and ill-behavior. Apparently, Crowley was also seen missing in the active lineup of Entity Esports game yesterday in the ESL One Genting 2017 qualifiers where they lost two best of one’s against EVOS. It has indeed happened. 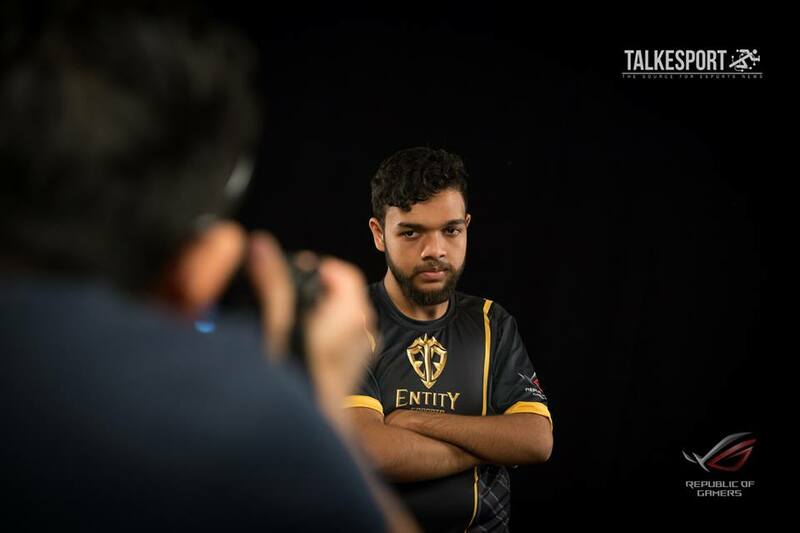 The ousted of Crowley has been confirmed by Entity Esport’s manager, Sid Joshi, who calls this incident rather ‘kicking him’ instead of him leaving the team on his personal consent. If the sources and the speculations do turn out to be true. It will be a big blow to the powerful squad considering the collective experience and skill they hold. It is also important to note that if the rumor is indeed the fortune, this will mark another roster change for the players in less than three months. Those are some ‘career-ending’ remarks made by the management here. Perhaps they could be a little more forgiving and not state the reasons so bluntly. Anyway, I’m a big fan of Entity.